As our local high school teams get back to action this month, we wanted to wrap up some of the top performances closing out the past school year. 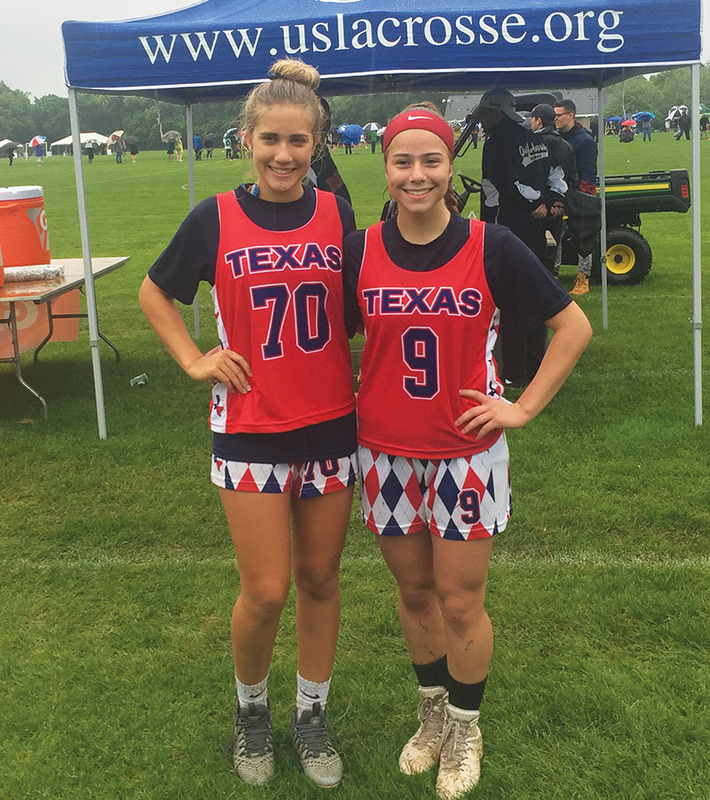 The Lamar High School lacrosse team was well represented on a national level this summer, with Lamar players Kaelin Isaacson and Tori Julian competing for Team Texas at the US Lacrosse Nationals and then earning roster spots for the Southwest division team in the Under Armour All-America Lacrosse Games. At the US Nationals, Isaacson and Julian helped lead Team Texas to a pair of victories in four games. Even before the summer, the Lamar lacrosse team, which competes in Division 1 of the Texas High School Lacrosse League, was making a big impact. Lamar finished third in the City Championship behind powerhouse programs The Woodlands and The Kinkaid School. In addition, Lamar’s Natasha Perez-Krause, a four-year starter and team captain, signed to play lacrosse at Southwestern University in Georgetown. PLAY BALL The Kinkaid Falcons girls lacrosse team advanced to the championship final of the TGHSLL D1 State Tournament. Kinkaid, which finished the season with a 16-2 record, won the city championship earlier in the season. 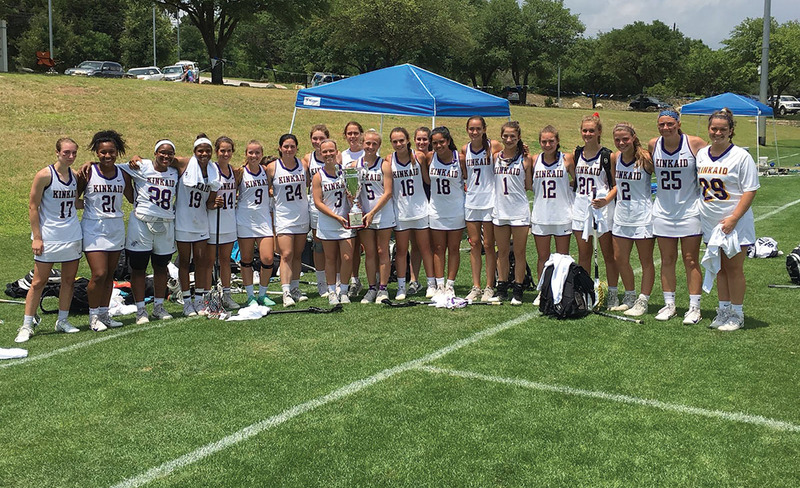 The Kinkaid Falcons girls lacrosse team came within one victory of winning the state championship, falling to Dallas Hockaday 18-16 in the TGHSLL D1 state championship final. The Falcons, who earlier won the City Championship, finished 16-2 on the season, while reaching the state tournament for the first time since 2001. “The chemistry between the girls and the physical work they put in daily really propelled this team,” said Falcons assistant coach Molly Higby. It was a great season for senior captain Belle Martire, who’ll next play lacrosse at the College of William & Mary. “Belle consistently led this team on and off the field,” said Higby. In addition, junior Chloe Hunter, who’s committed to play at Penn, was among the team’s most consistent players, according to Higby. Other top players included state finals MVP Nakeeya McCardell, as well as junior Mikela McCauley, who’s already committed to play college lacrosse at Dartmouth. 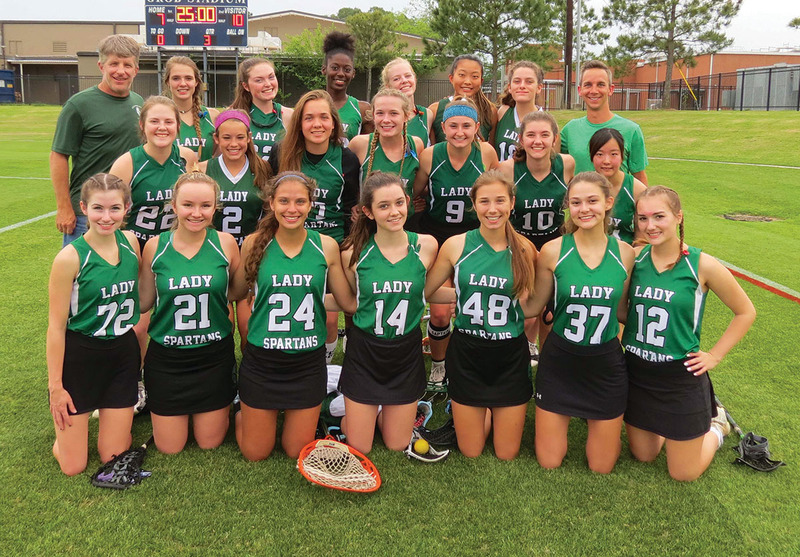 STRATFORD STICKS The Stratford Spartans girls lacrosse team enjoyed its finest season ever. After winning its district championship for the first time, Stratford went on to a third-place finish in the TGHSLL D2 State Tournament. Elmore had high praise for junior captain Hannah Harrington, who scored 49 goals with another 22 assists on the season. “Hannah is a great leader on and off the field and is one of the best players I’ve ever coached.” In addition, junior midfielder Meredith Schomburg scored 39 goals with 20 assists, while freshman Lillie Baird lit up the scoreboard with 50 goals and 11 assists. Defensive leaders for the Spartans included senior defender Catherine Parnell, goalie Marissa Hormell, sophomore defender Claire Gibennus and junior defender Erin Fitzsimmons. 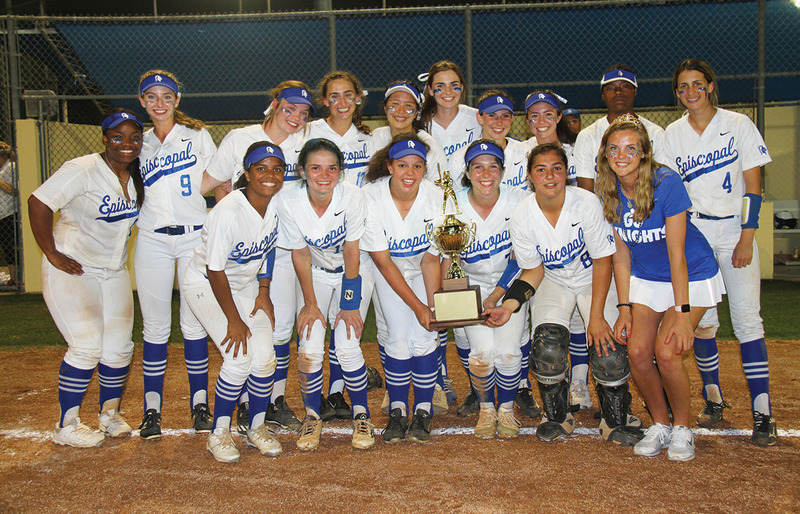 SOFTBALL POWERHOUSE The Episcopal Knights softball team capped off a dominant 36-1-1 season by winning its second straight SPC Softball Championship. It was a spectacular season for the Episcopal Knights’ softball team, which boasted a lofty 36-1-1 record, while securing a second straight SPC Championship. “It was definitely the best team I’ve had in all my years at Episcopal,” said Knights softball coach Kim Randolph. “This team had all the right ingredients, including two outstanding pitchers in seniors Sarah Venker and Daryn Grams.” Venker, who signed to play next at Ball State, was sensational both on the mound and at the plate. In addition to a perfect 13-0 record with a miniscule 0.92 ERA, Venker also led the team in hitting with a .517 batting average and 13 home runs. Grams was nearly perfect on the mound with an 18-1 record and a 1.16 ERA. The Knights’ second leading hitter was junior third baseman Rachel Boeker, who hit for a .485 batting average with 30 RBIs. Also leading the hit parade was sophomore center fielder Ka’lyn Watson, who owned a .414 batting average with 12 home runs and five triples. Other top hitters included first baseman Alexis Sagers (.461), infielder LeAnn Dromgoole (.443) and catcher Alexis Aboulafia (.433). Over the course of a dominant season, the Knights defeated several large school UIL programs, including four of five victories at the Clear Creek ISD tournament, as well as a championship victory in the Schulenburg tournament. “Our girls could pretty much match up with any team at any level in the state,” said Randolph.